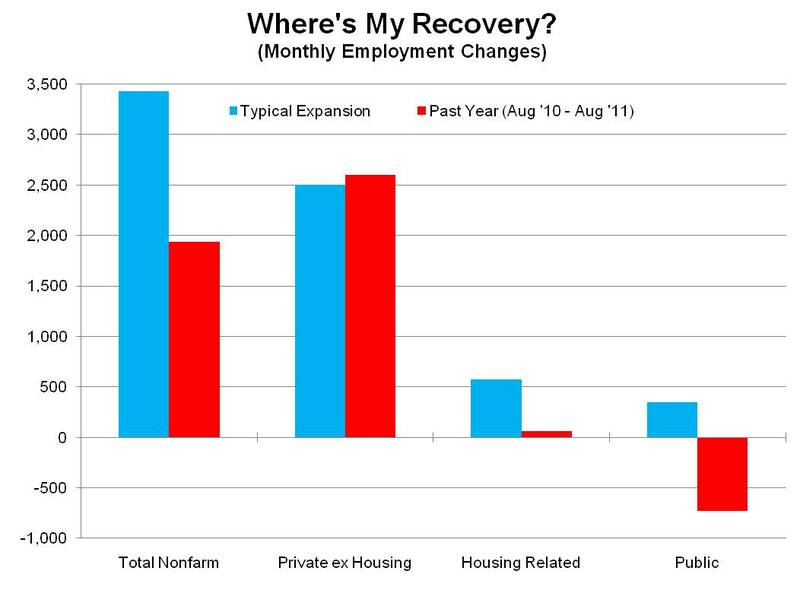 An update on two of our most recent graphs that highlight the current, fundamental issues facing the employment recovery. These graphs now include data through August. First up, the graph that illustrates the housing and public sector drag, relative to the private sector excluding housing. While the numbers changed slightly using the August data compared to the prelim estimates of July data last month, the underlying story remains the same. 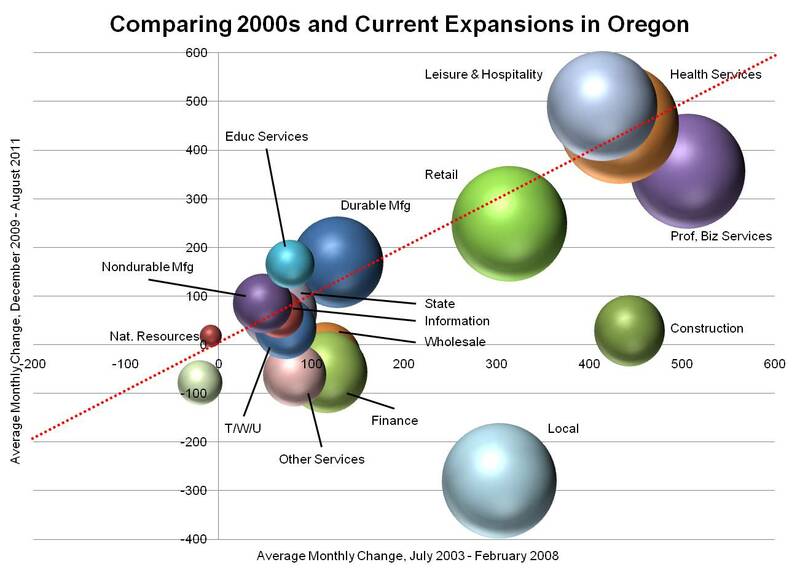 Where Oregon typically get 925 jobs per month (Housing and Government), the state is currently losing 675 per month (-555 ex Census workers). The second graph compares the average monthly employment gain this recovery to date (Dec 2009 – Aug 2011) to the average monthly gain last expansion period.